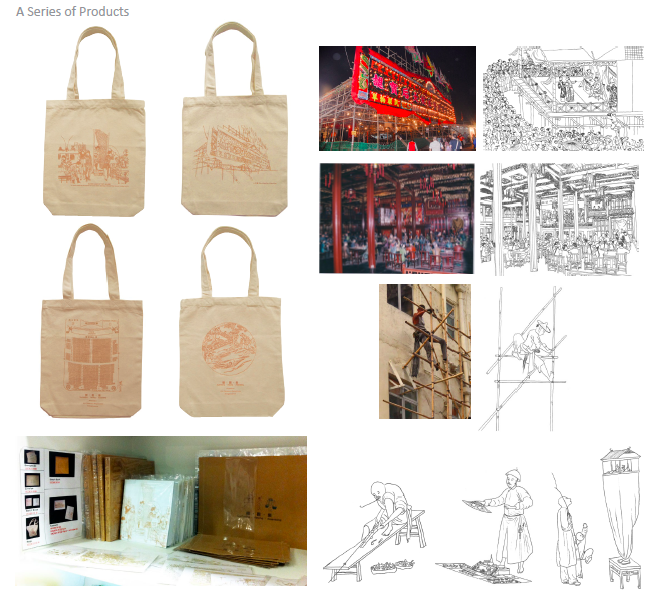 Bamboo scaffolding, Cantonese opera and public market are seemed 3 different topics, but they are actually correlated to each other intimately according to their cultural history heritage and reformation process. 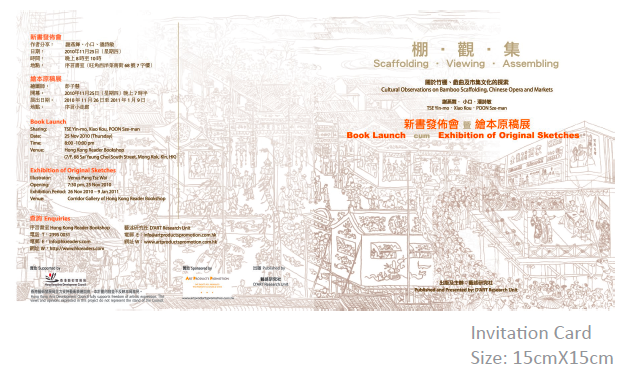 Some old Chinese printmaking pictures created hundred years ago and photographs of present scenes are selected and reformulated into a new featured representation. By using a basic outline drawing style, it creates a virtual authentic market scene with all the 3 themes falling into it to penetrate time and spaces from the past and present. 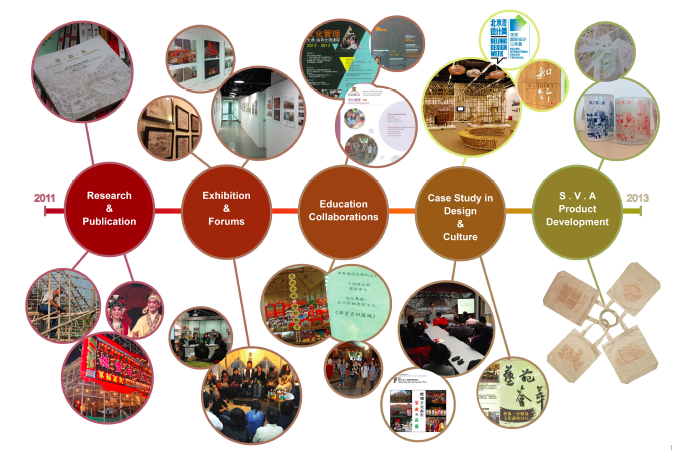 It gained a remarkable recognition from the public, mass media, as well as cultural, art and design professionals and experts. 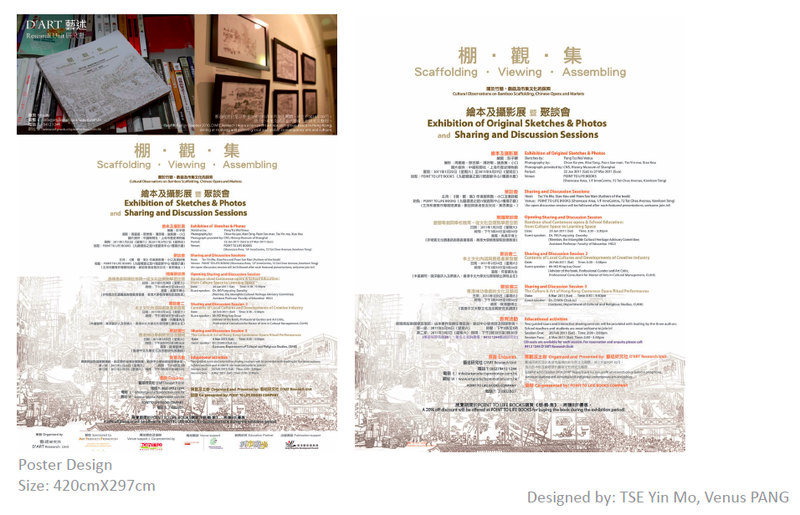 This publication is widely conserved as a reference material for studying authentic culture in Hong Kong by the public and universities’ libraries. 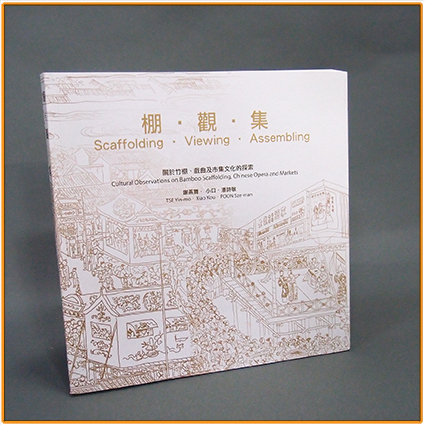 The book was distributed by Joint Publish Logistic Ltd in 2011.